That’s all it took for the New England Patriots to fill all the positions they needed to. Unlike other teams that had eight picks, the Patriots sent a shockwave throughout the NFL with offseason trades before the draft. 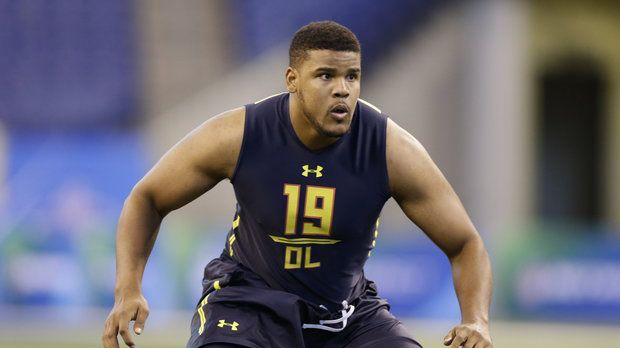 With the 85th selection, the Patriots drafted offensive tackle Antonio Garcia. Garcia was a great pick up out of Troy a small college in Alabama. Garcia has a 6’6″ frame with long arms. He’s a lot more thin than the average o-lineman and looks as if he should be rushing the QB not protecting him. Even with his slim frame, he has been extremely adept at pass blocking with quick feet and quick hands. He is able to lock up pass rushers in between the numbers, however, at the next level the rushers are bigger, faster, stronger and will be able to bull rush. The Patriots have the luxury to leave it in the sure hands of offensive line coach Dante Scarnecchia who will be given the task of fixing some kinks in Garcias’ footwork. Nate Solder who is entering a contract year, makes taking two tackles in this year’s draft the best decision the Patriots could have made. It’s been said all offseason and it will be said again, look for the Patriots to make yet another run to the Super Bowl with all needs filled in.